Update 4/16/19: We are out of stock again.. sorry... and anxiously awaiting the next shipment.. 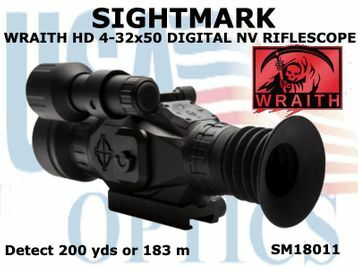 This is one of a group of 3 scopes in the Wraith series. 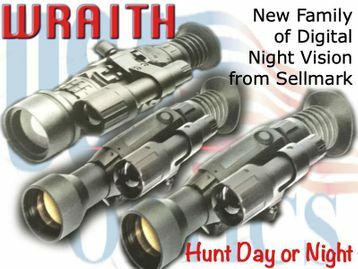 These scopes are digital DAY & NIGHT vision, designed for easy use with features the avid hunter wants and some that our modern Hunter likes such as - on board recording with an easy video out as well as a few other gems, but not so much tech as to aggravate and frustrate the classic hunter. 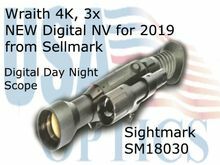 See the future in high definition with the new Sightmark Wraith 4-32x50mm Digital Riflescope. 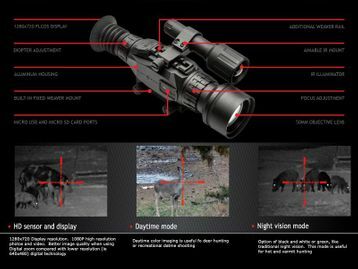 Hunt with an advanced 1920x1080 HD sensor, providing full-color clarity in daytime; simply hit the left arrow to switch to night mode - with classic emerald or black and white viewing options. 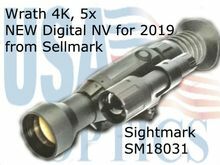 The Wraith comes with a removable 850nm IR illuminator to provide an enhanced nighttime image and accurate target acquisition up to 200 yards. 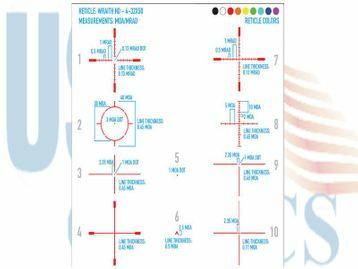 Customize your riflescope with 10 reticle options and 9 color choices to fit your needs. The Wraith features a built-in camera allowing users to record and share videos. 4.5-hours of battery life with 4 common AA batteries and an external MicroUSB port expands options for power. Wraiths also allow video recording and export.